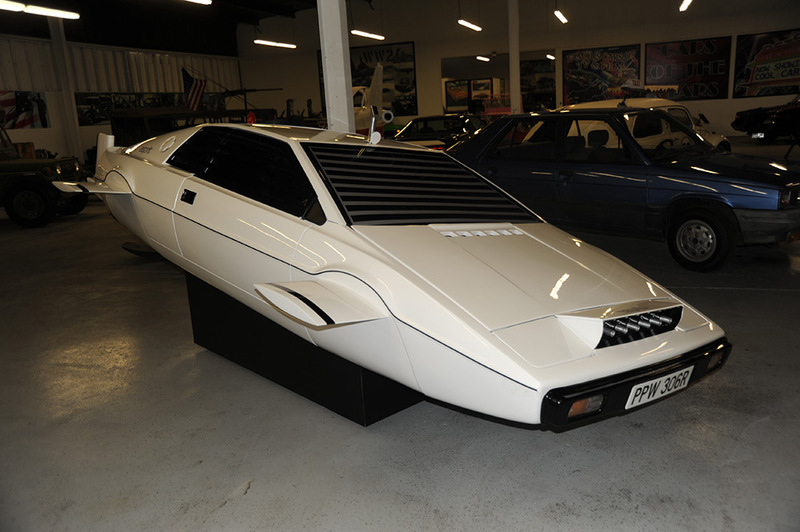 The Dezer Collection at Hot Rod City Las Vegas is Offering its Prized James Bond Lotus Espirit Submarine Car, Driven By Roger Moore in 1977’s “The Spy Who Loved Me” for One Million U.S. Dollars! Attention, classic film car buyers—The Dezer Collection at Hot Rod City Las Vegas (www.hotrodcitylasvegas.com) is offering it’s crown jewel, the James Bond Lotus Esprit Submarine Car, for a cool $1 million (U.S. dollars) on eBay! The legendary amphibious vehicle, driven in a classic chase scene on the Italian isle of Sardinia by Roger Moore in the 1977 film “The Spy Who Loved Me,” is being sold in anticipation of the upcoming planned expansion of The Dezer Collection’s showroom in Las Vegas. The sale is being conducted by Steve Levesque, Mayor of Hot Rod City Las Vegas. The Lotus Esprit, known for its unique feature of converting into a submarine, has been on loan from The Dezer Miami Museum (www.dezercollection.com), which displays over 600 vehicles owned by Michael Dezer. It was recently featured on The History Channel‘s “American Restoration,” where it was restored by the show’s star Rick Dale, owner of Rick’s Restorations in Las Vegas. There were six Lotus submarine cars built and used in the film, with one of them being a drivable underwater sub. The one being sold is the retractable wheel version that appeared onscreen. Other items that are up for sale as part of an exciting inventory turnover include numerous Hollywood prop cars, military vehicles, and un-restored classic car projects. For more information, please visit www.hotrodcitylasvegas.com or call (213) 500- 8619 or email Steve@luckmedia.com.